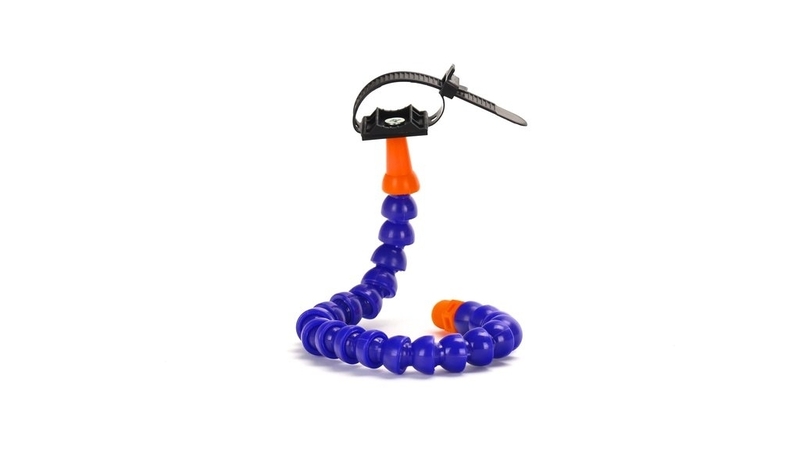 This 43cm arm comes equipped with a Universal Clamp that will allow you to hold any round object up to 1" in diameter. This will allow you to hold a flashlight, magnifying glass, or to support any components necessary for your project. 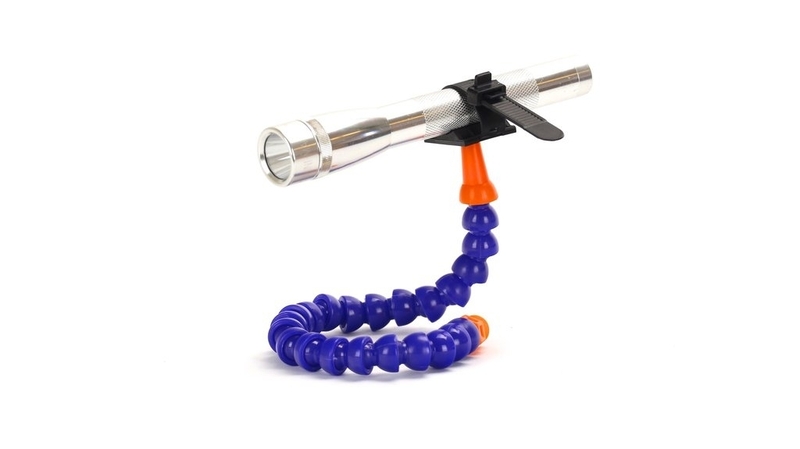 This arm is easily attachable to the Mini-Hand base, reusable and will last for the life of your Mini Hand.